It’s the last thing you want to see when behind the wheel of a car – a set of ‘dangling Dunlops’ coming your way – at speed. Runway incursions are a frequent inclusion in ATSB weekly summaries, with Airservices Australia estimating that 15-20 of them happen every week, with a growing number involving transport of the four-wheeled variety. Paradoxically, the culprits are often airport safety or maintenance vehicles. Cars and four-wheel-drives aren’t always the first thing you think of when runway incursions are mentioned, with images of the Tenerife airport disaster, the deadliest accident in aviation history, killing 583 people on a foggy afternoon in the Canary Islands, quickly coming to mind. Many factors played a role on the fateful day, from the heavy fog to pilot error. 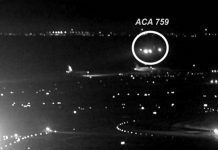 But whether it’s two 747s colliding, or a near miss between a ute and a Cessna, one thing is common to many runway incursions – poor communication. Airservices Australia say there have been serious runway incursions due to drivers not remaining vigilant to call signs and accidentally responding to radio communications from air traffic control (ATC) that were intended for other vehicles. When coupled with non-standard phraseology, human error and messages being accidentally over-transmitted by other users, ineffective communication can quickly lead to danger. 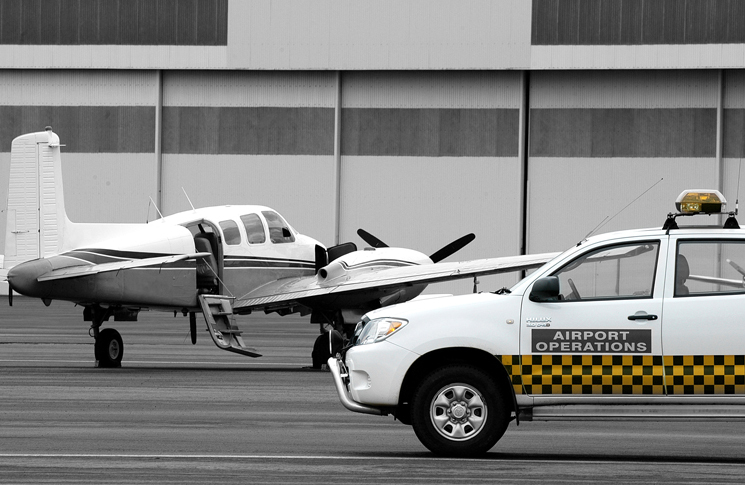 This was demonstrated in 2012 when an early morning visibility inspection at Perth airport led to a runway incursion, with a safety vehicle having a near miss with a Piper PA-42 as it came into land. 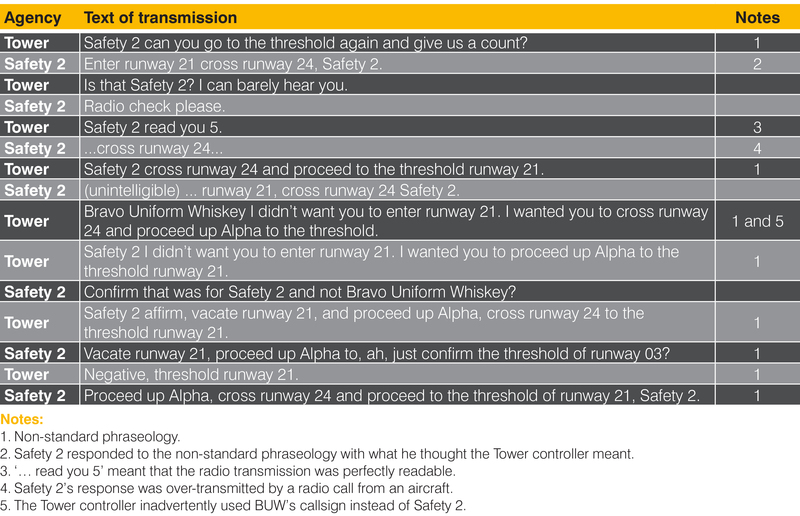 The table below, from the Australian Transport Safety Bureau (ATSB) report on the incident, shows how easily miscommunication can happen. 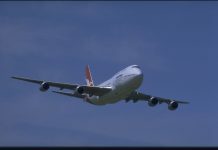 The ATSB said the incident is a reminder that ‘in safety-critical situations all radio communications phraseology should be clear, concise and unambiguous’ and that drivers operating on an airfield should ‘seek clarification of ATC instructions should there be any doubt as to the content or intent of the instruction’. This ‘normalised deviation’ can be a simple ‘G’day mate’. 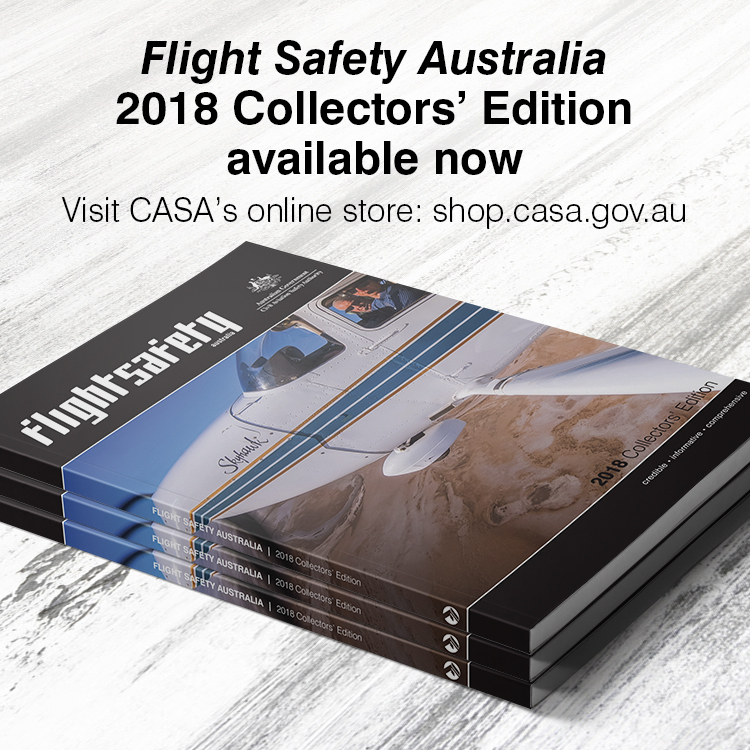 While its general use in society might not make Aussie slang seem sinister, when used over aviation radios and in certain circumstances it could easily impact on safety, particularly for international pilots and others without English as their native language. Listening prior to transmission to avoid transmitting over another aircraft or vehicle. – Who are you (call sign)? – What are your intentions? – What is your ETA? Stating your position when making initial contact with any tower or ground controller, regardless of whether you have previously stated your position to a different controller. Focusing on what ATC is asking you to do and not performing any non-essential tasks whilst communicating. 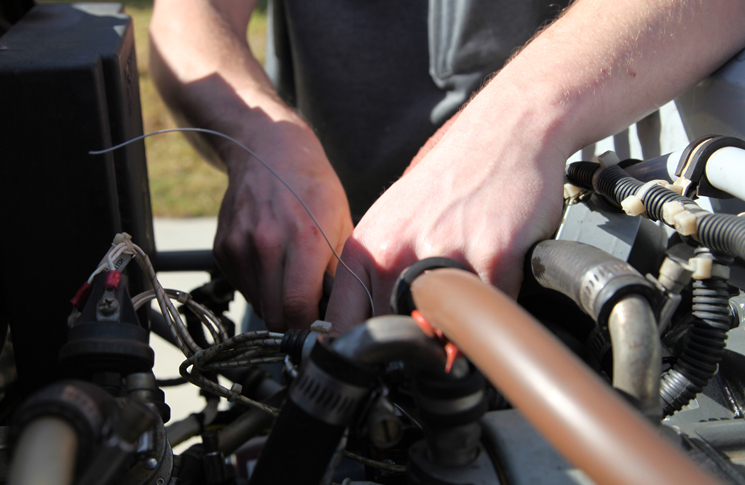 Making sure your radio is working correctly and is on the correct frequency, and that other radios and mobile phones cannot cause interference or disruption. These points – coupled with knowing what you’re going to say, being concise and acknowledging all clearances – will help communication to be clear and accurate and will help protect you from those ‘dangling Dunlops’. CASA encourages everyone who has heard non-standard phraseology to report it. This is not to dob in or rat on individuals, but to help authorities collect data on the occurrences so educational programs can be implemented to help raise awareness about this important safety issue. You can report any safety incidents to your local aerodrome safety inspector, or by submitting an aviation security incident report (ASIR). Visit Airservices’ Runway Safety page for more information about runway safety.